This morning come two of Captain Cooke’s boys, whose voices are broke, and are gone from the Chapel, but have extraordinary skill; and they and my boy, with his broken voice, did sing three parts; their names were Blaewl and Loggings; but, notwithstanding their skill, yet to hear them sing with their broken voices, which they could not command to keep in tune, would make a man mad–so bad it was. The quote above is Samuel Pepys (born February 23, 1633) referring to John Blow (born February 23, 1649). 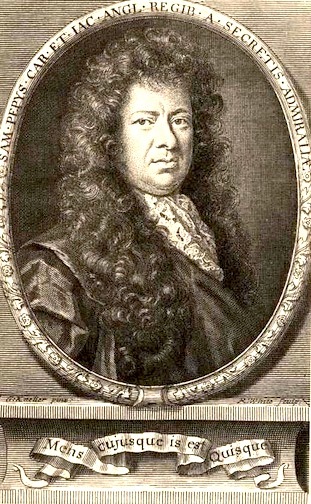 Samuel Pepys was a member of Parliament who is now most famous for his private diary, kept from 1660 until 1669. 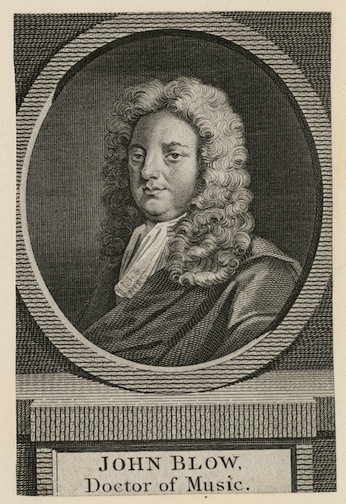 John Blow was an English Baroque composer and organist whose opera Venus & Adonis is considered the earliest surviving British opera and which is believed to have influenced Henry Purcell’s later opera Dido and Aeneas. 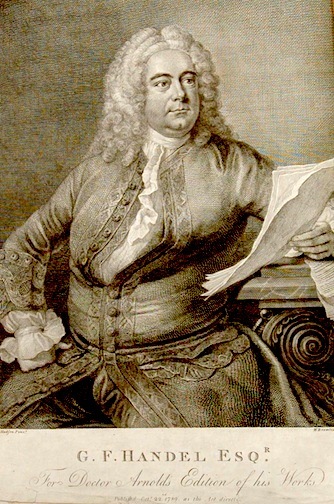 After Purcell, opera in England languished until the arrival of George Frideric Handel (born February 23, 1685) who, however, wrote most of his operas in Italian. Acis and Galatea is Handel’s only work for the theatre that is set to an English libretto. Of course, most of us know Handel for his English-language oratorio Messiah and for his collection of short pieces for small orchestra known as the Water Music.